Last month we released our annual Game of the Year episode where we pull our ten favourite games from an incredible slate of releases and tear our hair out ordering them. 2018 was a crazy year that saw some games be just as great as we’d expected with plenty of surprises scattered throughout. In particular I feel as though the indie development scene continues to get better and better with many of my favourite games coming from those smaller teams (and several of my honourable mentions). Most of my time composing this list was spent going back and forth on the order of my top two games. I’ve now settled on an order and I think I’m mostly okay with it, so let’s get into the list. Rockstar is a strange beast, they only release one game every few years but whenever they do the noise that surrounds the release is largely unparalleled. Red Dead Redemption 2 is no different, the scope is as epic as it has ever been (my playthrough definitely took me upward of fifty hours), the visuals are breathtaking with some of the game’s vistas making me laugh in disbelief that it was running on a launch PS4, and a score that knows when to be heard and when to become a part of the environmental ambience. There are plenty of little parts of this game you can nitpick, such as the often unwieldy controls, missions that sort of leave you scratching your head, or the sometimes confusing interface and the many layers it possesses. Any time I had a complaint, a story beat would immediately make me forget or I would stumble across something interesting whilst riding from point A to point B. One request for Rockstar, can we please have a game where we get more Sadie? 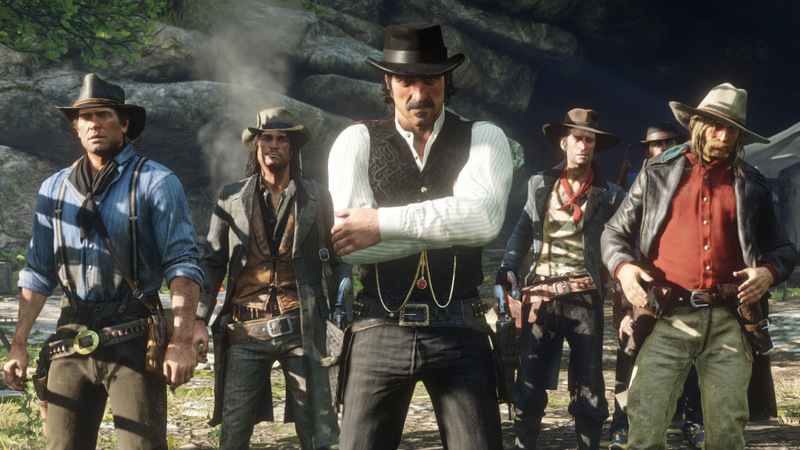 One thing is for certain though, my time with Arthur Morgan and the Van der Linde gang is going to stick with me for a long time to come, easily Rockstar’s most mature narrative and a new landmark for open world video games. Here we are, folks. We live in a world where Kratos from God of War has a personality, he has conviction, he is actually a three-dimensional character. Cory Barlog and his team have made one of the greatest action adventure games of this generation. Pulling the camera in close (and also having it track Kratos for the entire journey) was one of many genius decisions made, it helps keep the player fully invested in the experience and aids in driving home just how intense some of the combat encounters will end up becoming. It also ended up being a great choice to move to Norse Mythology but keep everything pretty ambiguous allowed the player to be constantly engaged as the scope of the story grew with each step the duo takes forward. Special mention to the Leviathan Axe for being one of the coolest weapons in a game, the sound effect that plays when Kratos summons the axe back to his hand is one of my favourites all year. This is a game that has heart and I just have to know where Kratos and Atreus end up next when this game inevitably get its sequel. Towerfall had some of the most responsive, enjoyable movement in a 2D game, but it was also strictly a multiplayer game. Taking those controls and applying them to a pixel perfect platforming game like Celeste was a match made in heaven. Each of the game’s varied worlds as beautifully realised in their pixelated design and feature their own hazards and stage gimmicks to keep your path forward fresh and engaging. Celeste also includes compelling story that follows our main character, Madeline, and how she handles her anxiety and depression; ultimately being forced to deal with a physical manifestation of it. Along her journey she encounters other characters and her interactions with them also goes further to show how these issues can affect people (I feel obligated to link this piece on Kotaku, definitely worth checking out), plus it features a resolution that has helped a number of people with their own personal struggles. This is a game that is fun to play, engrossing to follow, and addictive to complete. Sakurai is one of the hardest working individuals in the video game industry, both he and his team have worked hard to create one of the finest celebrations of the world of video games to date. Super Smash Bros. as a franchise is always in a weird spot, constantly battling against the lofty expectations of the fanbase often with mixed results. Prior to this game I still held Super Smash Bros. Melee as my favourite in the series (although the Wii U iteration got pretty close), but now having spent upwards of one hundred hours I’m confident that this game lives up to its namesake. This game has the speed the series has lacked, a ridiculously large roster, and enough easter eggs to keep fans digging for months. On top of this, the World of Light adventure mode actually ended up satisfying me, managing to utilise the huge roster and amount of customisation options to replicate a large variety of encounters. This is the complete package, Nintendo could sell me this particular Smash game next generation and I’d still be satisfied. Sometimes when a game is announced it just makes sense, Insomniac tackling Marvel’s immensely popular Spider-Man franchise was one such instance. This game not only knows how to make you feel like you are the Spider-Man whilst you swing through the beautifully realised streets of New York City with the soundtrack swelling and rising matching your own movements, but you also get a good idea of the daily struggles of Peter Parker as he deals with his relationships with Aunt May and Mary Jane. Insomniac also did a great job of keeping new players with well-known villains such as Norman Osborne and Otto Octavius where it is possible to be sympathetic towards them even if you ultimately knew that certain things just have to happen. Another big part of what makes Spider-Man great is the combat, which feels a little bit like Batman: Arkham series. Zipping from enemy to enemy with Spidey’s webs was incredibly exhilarating and stealthily taking out baddies from the shadows felt fantastic as well. This game is the full package if you are a fan of super hero games. 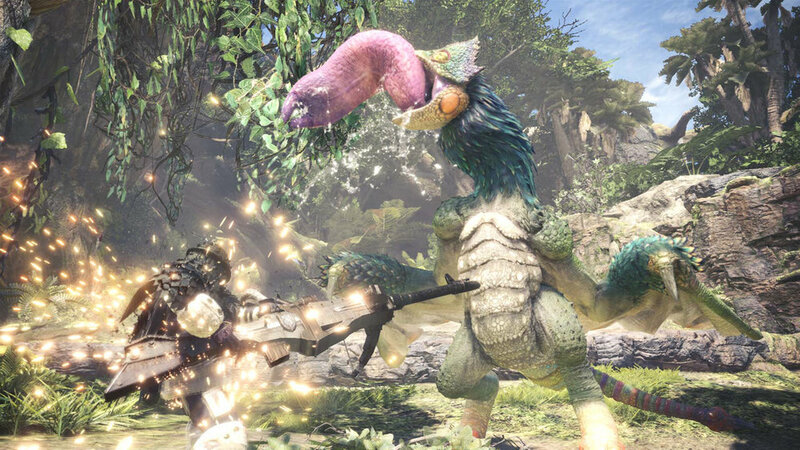 For years I’d heard people praise the Monster Hunter series, it always seemed like one of those games that I should be automatically addicted to but after several attempts at getting into various different games it wasn’t until Monster Hunter World that it really clicked. Many of my issues with the previous entries were erased upon Capcom’s choice to bring the series back to home consoles proper (I say proper because some past entries had technically been on home consoles), such as opening up the world and ditching the little segmented rooms allowing the game’s areas to feel alive. On the same page the franchise’s new and returning monsters look incredible running in full HD, when they engage in combat against one another you truly feel like a tiny human scrambling for safety to avoid being trampled under foot. You also have great arsenal of weapons to pick from and swapping back at forth is easy if you feel like swapping it and trying one of the game’s many different combat styles, whether its the high flying mix of aerial and ground with the Insect Glaive or the ranged elemental combat that the bow offers. There’s something for everyone, with each weapon having their own combos and attacks it is almost impossible for things to get stale. When it comes to Dragon Ball Z video games I’ve definitely been around the block a few times, I’ve even found enjoyment with several of the titles developed but they rarely can be enjoyed on their own merit. Enter Arc System Works, creators of the Guilty Gear and BlazBlue fighting game franchises, who bring their fast-paced combat systems and high quality anime quality visuals to make a Dragon Ball game that should turn the head of fans and newcomers alike. The game is developed with such care that I’ve spent several hours of my time with the game going through each characters in the training mode to spot the various nods and easter eggs to the anime and manga. If you aren’t a fan, the mechanics are still strong with welcoming auto combos to ease people in to these mechanics until you start getting down and dirty with some of the more complex combos. One of the main reasons I enjoy this sort of fighting game is that it is less about ludicrously complex button combinations (some of the Street Fighter inputs make my head spin) and more about spacing, timing, and picking a team with good synergy. It also features a solid single player mode that maybe gets a bit samey by the third campaign, but really it is a great way to deliver some genuinely funny dialogue between some of these characters. The game looks set to receive a second season of DLC this year so this probably won’t be the last time you’ll hear me talk about this game. I’m a sucker for a good strategy game and as soon as the team behind FTL were cooking up something along those lines I was immediately interested. 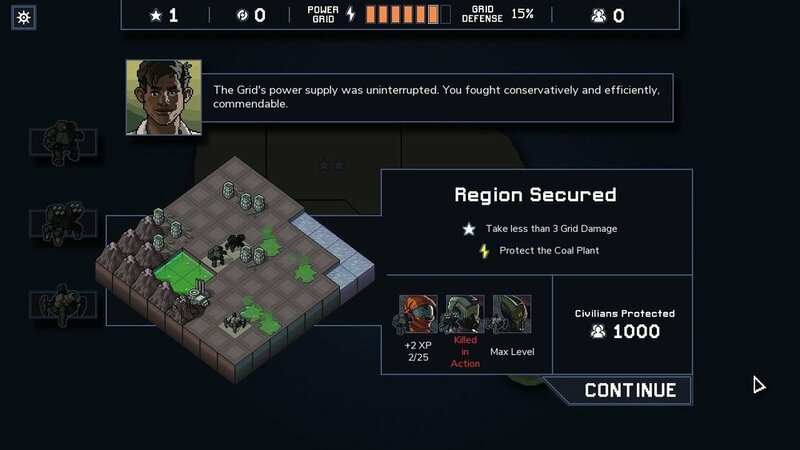 Into the Breach, much like their work before it, masterfully turns what can often be a plodding, slow type of game and trims almost all of the fat, resulting in a tight little strategy game that can be enjoyed in bursts. The grids are tight, the enemy count is generally limited, and the focus is shifted from the safety of your units instead asking you to keep the civilians alive. All of these things allowed me to be significantly bolder in my actions, throwing my units into danger because it wasn’t their safety that was paramount. I am aware I’m like a broken record now, but this game also has a brilliant soundtrack that really helped get my heart beating a few ticks faster as the pressure piled on. Dead Cells is actually a game that I’d been keeping an eye on since it popped up as an early access game on Steam for PC. The gorgeous sprite art and snappy combat immediately caught my attention. Borrowing aspects from one of my favourite genres (awkwardly dubbed by most people as Metroidvanias) but keeping me on my toes by also being a rogue-like. It even has rewards if you are quick enough to make through the areas by having secret areas that lock after a certain amount of time has elapsed each run, which even leans into the speed-running nature of said genre. The game throws so many different weapons, sub-weapons, and enemies at you that you’ll be dashing in swinging wildly for countless hours. Don’t fret if you are dying frequently, the game’s cell system gives you plenty of chances to tailor the experience to give you a great shot at hitting the ground running again. On the 3DS there is a series known as Bravely Default and it served as an outlet for Square to create more old school JRPGs whilst they continue to experiment with more action-oriented takes on the genre with recent Final Fantasy and Kingdom Hearts. I was pretty surprised when they revealed a game in the same vein was coming to the Switch in the form of Octopath Traveler in a Nintendo presentation (and released a demo that very same day!). The wait was pretty long, but the result was a game takes the sprites of the SNES era that we know and love and breathes beautiful new life into them with a wonderful HD flare (now copyrighted as HD2D or HD-2D). The combat is compelling, with bosses often understanding a deft knowledge of the various systems you’ll be navigating most importantly being the ability to bank up to three Boost Points to change how your skills work in battle. Throw in yet another of the year’s catchiest soundtracks and eight protagonists that are fully fleshed out thanks to the game’s narrative structure and you’ve got a fantastic throwback JRPG that makes great arguments for the survival of its genre. When it gets a sequel I hope one change Square makes is allowing the cast to interact with one another more naturally, because that’s probably one of the biggest flaws I have with the game.